India’s first every digital reality show The Remix’s next episode which is all set to stream on 23rd March brings to the audience. The theme of love brings a line-up of 8 romantic and heart-warming tracks that include Raabta, Gazab ka hai din and Sunn Raha Hai Na Tu. The Remix is Amazon Prime Original’s first unscripted reality show which pairs DJs and singers to compete in the ultimate music spin-off challenge. With the release of next episode, The Remix will recreate the magic of these popular romantic charts in a unique manner. With some outstanding performances and breath-taking visuals, this episode takes the competition to a new high, resulting in a shocking elimination! 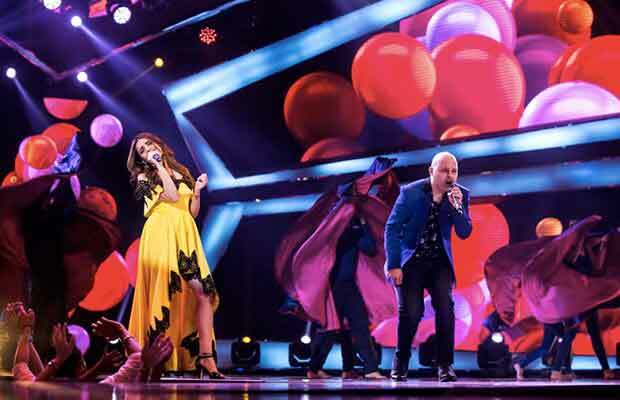 Amazon Prime Video which serves some of the finest OTT contest has yet again treated the audience with an unscripted reality show called ‘The Remix’. The show features 10 teams who give it their all to put out riveting performances to impress the celebrity judges: Sunidhi Chauhan, Amit Trivedi and Nucleya! Amazon Prime Original The Remix is created and produced by Greymatter Entertainment and launched on March 9, 2018, exclusively on Amazon Prime Video. Next articleSandeep Singh Is The Only Sportsperson From India To Deliver A Speech At Cambridge University!